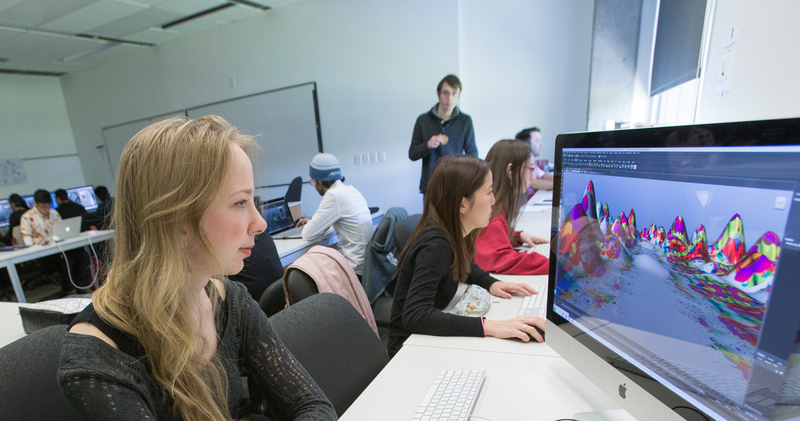 From text and graphics to interactive animations, and from gaming strategies to proof systems, Willamette’s computer science curriculum is designed to develop students’ capacity to use computing to answer questions and solve problems. Diverse courses and interdisciplinary opportunities sharpen critical thinking abilities and prepare students for a lifetime of learning in a rapidly changing world. Programming and object-oriented design are just the beginning. Mid-level courses cover the structure of computers, the languages that control them, and the mathematics of key algorithms. In upper-level courses, students work closely with faculty members and Willamette’s welcoming community of fellow students to delve into more specialized areas of research. In a capstone senior course, for example, CS majors demonstrate their creativity and skill in computing by developing their own unique projects—projects like an iOS app to help train people's ears to detect different musical notes, turning art into interactive virtual reality spaces, and creating video games. To learn more about the department, student opportunities, or current issues in computing, stop by our weekly CS Tea on Thursdays in Ford Hall’s academic hearth. You can also view a graphical version of the Computer Science Department's offerings.